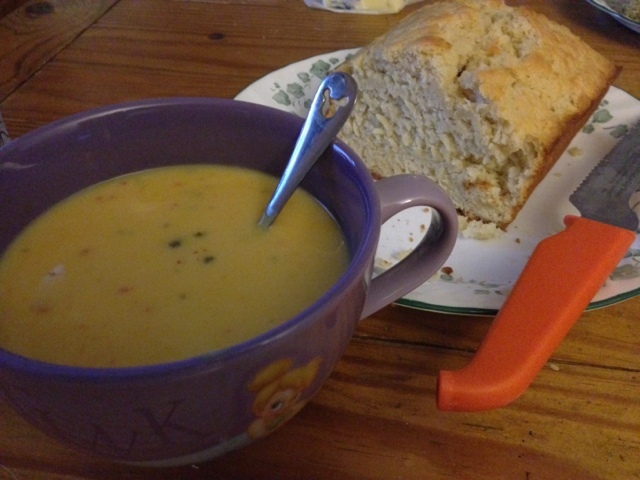 Picturing Disney: Disney Recipe: Le Cellier Cheddar Soup! 1. Saute the bacon in a large soup pot over medium heat until wilted but not browned. 3. Sprinkle in flour and stir constantly for 2 minutes. 4. Stir in milk and stock, a little at a time, blending well to ensure there are no lumps. Bring to a boil, then cover and simmer for 15 minutes. 5. Remove from heat and whisk in cheese, Worcestershire and beer (and hot sauce if you please). Season with salt and pepper to taste.